Fine dark bark is a cheaper alternative to compost. It’s looks similar and can be mixed with other materials for garden use. 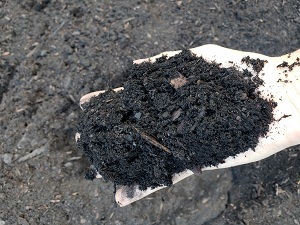 Fine dark bark can be mixed with white pumice rock to make potting soil. Fine dark bark works well for roof top gardens and flower beds. We have fine dark bark available in 5/8-. Our fine dark bark comes in brown to black colors. If you’re looking for affordable aged organic material, fine dark bark is the way to go. You can use it to mix with your topsoil to lighten and enrich flowerbeds. You can use fine dark bark for residential and commercial flowerbeds. For high quality fine dark bark, contact us today.